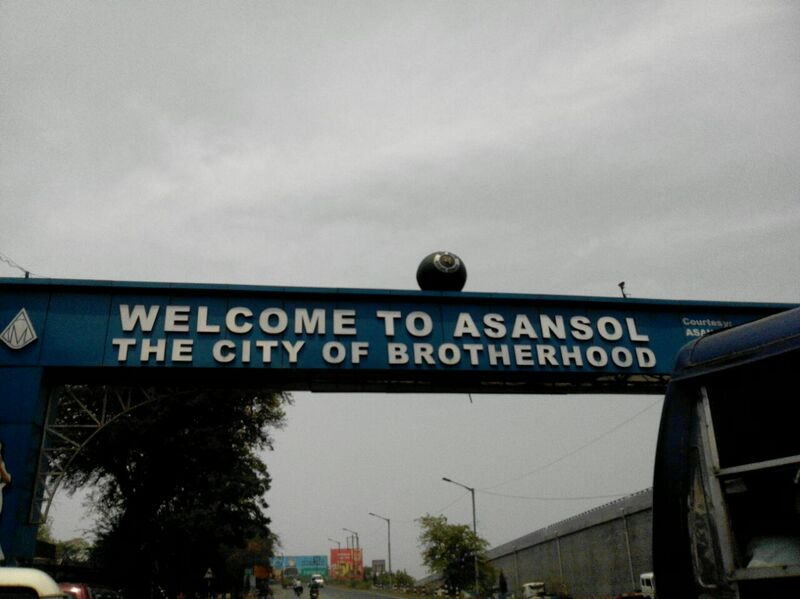 As one enters Asansol, one sees a signboard that says, “Welcome to Asansol: The City of Brotherhood”. The city had erupted in communal violence last month, and the irony of this greeting was not lost to this correspondent. 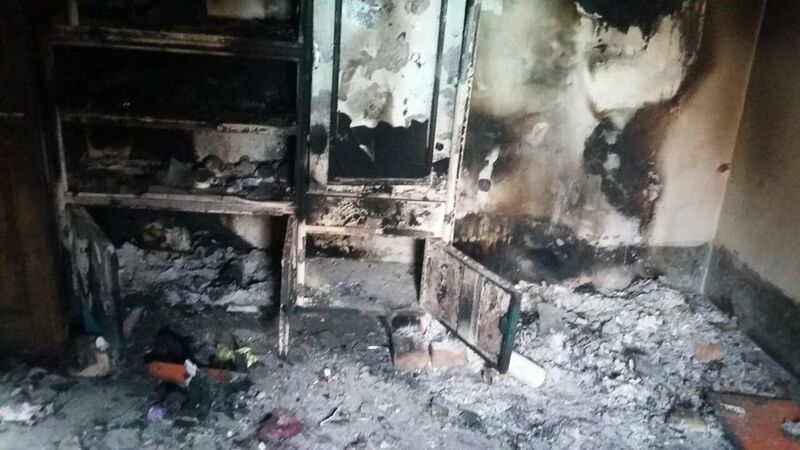 At least six persons have lost their lives and around 120 people have been injured in the latest incident of communal violence between the RSS-led Sangh Parivar and the ruling Trinamool Congress (TMC) in West Bengal. More than a 100 homes and shops have been reduced to rubble and ash in this political game of death and destruction. On March 26, a Vishwa Hindu Parishad (VHP)-backed Ram Navami rally, with the crowd bearing arms, moved through a Muslim-dominated locality in Raniganj, leading to clashes between the two communities. In the following days, related incidents were reported from other parts of the state. The worst hit was the Asansol-Ranigunj industrial belt in West Bardhaman district. The area is close to Jharkhand where at least four persons died during the clashes between Hindus and Muslims; one person was also killed in neighbouring Purulia; and another in Kankinara in North 24 Parganas district, close to Kolkata. For now, the fire has been doused, but the embers are still glowing in the riot-ravaged areas. These repeated communal flare-ups in the last couple of years — mainly in industrial areas with a mixed population and in rural Bengal bordering Bangladesh — have been on the rise ever since the Bhartiya Janata Party (BJP) actively started trying to wrest West Bengal from its friend-turned foe TMC. One of its key strategies is polarising Hindus against Muslims, primarily by inciting the Hindi-speaking poor with a daily dose of militant Hinduism in areas that had, up until now, been strongholds of left labour unions. In areas close to the border, the BJP has been milking the bitterness of the Hindu refugees from Bangladesh in order to consolidate their own vote-bank. Bengali and Hindi-speaking dalit and OBC Hindus are being mobilised by the Sangh’s anti-Muslims campaigns to counter Mamata Banerjee’s support base among Muslims and Matuas, the most organised group of Namashudras and south Bengal’s largest dalit community. The latest spate of violence during the Ram Navami celebrations is symptomatic of a new phase of politics where the BJP and TMC have been unapologetically communal in their bid to consolidate their vote-banks. It has become more vicious since 2017, after Banerjee pressed her party to organise their own Ram Navami rallies, or take leadership of the old Ram Navami rallies, with more gusto and grandeur. Her decision to challenge the Sangh Parivar’s monopoly over the political use of Ram was prompted by her need to flaunt her liberal Hindu credentials. This checkmates BJP’s rise as the principal opposition party in the state. The saffron party has gained ground among the majority community, mainly by accusing the TMC government of passing policies that appease the Muslim population. The TMC has been empowering conservative religious Muslim leaders, claiming to be the sole “protector” of Muslims, an influential minority community which constitutes more than 27% of the state’s population. It is another matter that her government has hardly done anything substantial to uplift this influential minority community socio-economically, i.e., in terms of employment and human development indices. Nevertheless, Chief Minister and TMC supremo Mamata Banerjee knows well that public perception goes a long way in politics. This is why TMC has actively taken part in this year’s Ram Navami and Hanuman Jayanti celebrations. The BJP and rest of the Sangh Parivar have been openly celebrating their successful communalisation of politics in Bengal. They have succeeded in setting the agenda for Bengal politics which had, up until now, banished religious polarisation from the mainstream political discourse. The horrors of the Partition were subsumed under post-independence mass movements for land and food during the Congress rule. This was followed by a period of Left hegemony. The TMC government initially prohibited armed Ram Navami rallies from being carried out. However, it was soon accused of being biased for allowing Muslims to hold similar armed rallies during Muharram procession. In the wake of this accusation, coupled with the Sangh Parivar’s threats of defying the orders, the Banerjee government gave in and allowed the group to carry out armed rallies in West Bengal. Not only did this further embolden leaders from Hindu right-wing organisations like the Rashtra Swayamsevak Sangh (RSS), the VHP, and the BJP, the TMC government’s move also opened the doors for closet Hindutva forces within the TMC camp, especially those from Hindi-speaking areas with mixed populations. These TMC supporters even participated in the armed processions during Ram Navami. Nonetheless, the TMC supremo’s attempts at co-opting their icon, Lord Ram, has alarmed the saffron camp. She is trying to weaken the latter’s support base through what has been called “soft Hindutva” tactics. BJP is not the only one trying to use religion to their advantage. In Asansol, an area with a sizeable Hindi-speaking population, TMC has supported the Hindi-speaking mayor, Jitendra Tiwari. In North 24 Parganas’ industrial area, they have fielded Arjun Singh. These leaders wear their Hindu identity on their sleeves, quite obviously using it for political purposes. Meanwhile, the TMC government has also taken steps to keep its Muslim support base intact. They are mainly from the Urdu-speaking communities in these industrial towns. This is clear from the way TMC has publicly denounced the armed Ram Navami processions. It was in response to such tactics that the Sangh Parivar, which seems to be adept at engineering riots for political ends, decided to break the remaining social bonds between lower caste Hindus and Muslims who live side by side in dingy slums in Asansol’s sprawling Rail Par neighborhood (labelled “Mini Pakistan” by the Hindutva forces), Rajbhandh in Raniganj, and Hill Basti near Raniganj. The subaltern non bhadralok Hindus, who are mostly Hindi-speaking, constitute more than 30% of the constituency. The Hindus in these areas are a significant community if BJP wants to consolidate its Hindu vote bank. These towns are the worst-hit because of the ongoing tussle for power in the Asansol parliamentary constituency. It is an important constituency as it includes former coal hub Raniganj and the surrounding industrial towns like Kulti and Jamuria, all of which come under same Nagar Nigam. The newly formed police commiserate in the constituency includes the steel town Durgapur under its jurisdiction. BJP’s Babul Supriyo, who briefly tried his luck at playback singing in Bollywood before turning to divisive politics, won the parliamentary seat from Asansol in 2014. His win was a result of the division of anti-BJP votes at the height of Modi-wave, as well as infighting within the TMC. Although it was once a Left stronghold, Asansol’s current civic administrative body and most of its assembly seats are now held by the TMC. Mamata Banerjee is eager to recover this important constituency from the BJP. West Bengal’s ruling party has already succeeded in poaching Opposition leaders, luring away about a dozen BJP, as well as Left and Congress, councilors in the civic body by dangling carrots and sticks. But the Sangh Parivar is equally determined to hold onto Asansol because its mixed population makes BJP’s campaign for Hindu-Hindi-Hindustan easy to realise. Supriyp, who had once shared jhal muri, spiced puffed rice, with the TMC supremo, is now a BJP MP from Asansol. The first-time MP has been given a position in the Narendra Modi government as a cabinet minister. This shows how serious BJP is about making inroads in West Bengal. The rookie politician, who currently serves as the Union Minister of State for Heavy Industries and Public Enterprises, actively participated in the Ram Navami processions this year before riots broke out across the constituency. He contributed to the violence by fanning the already rising hostilities between the two communities through his biased reporting of the issue, slandering the Muslim population on social media. In fact, he was saber-rattling on the ground when parts of the towns were still aflame. The rookie politician has already honed his skills in realpolitik and is now keen on holding his fort at all costs. On 26th march, after riots broke out in Raniganj, he tweeted, “The Goons from Minority community came, slaughtered and was given a safe haven to escape. The entire nation needs to know how dirty a politics of Appeasement Mamata Govt is playing in Bengal.” The message was dutifully retweeted by @BJP4India @narendramodi @AmitShah @BJP4Bengal @KailashOnline @DilipGhoshBJP, the last one being the Bengal BJP chief. For the next four days, he continued to post videos of atrocities committed against Hindus and TV channel clippings of Hindus leaving their areas in desperate search of safety. But he deliberately chose to maintain silence about the atrocities that the Muslims faced. Not once did he appeal to the general public, to people from both the communities, to stop the madness. As an elected representative of the people of Asansol, he should have spoken on behalf of all faiths. However, neither did he bother to call for communal amity, nor did he applaud a local Imam’s appeal for peace, an especially commendable gesture seeing as how the Imam lost his teenage son in the riots. Supriyo’s Facebook post from April 1 reveals that the minister, who once sang Tagore’s soulful songs and romantic cine melodies, is now perfectly tuned to Hindutva politics of hatred and dehumanisation of the Other. “Victims do not have any religion or party — that’s what the rhetoric goes but in the practical world Truth is not based on Academics or Rhetoric. Truth is Truth AND THIS IS the truth…” he wrote, pointing to his one-sided reports of communal violence. Nevertheless, the twitter-savvy minister later claimed to have faced “inner question” and offered to tender his resignation from the ministry to the Prime Minister, apparently in a move to do some damage control, both for his party and himself. Be that as it may, the question still remains, why did Prime Minister Narendra Modi, his minister Babul Supriyo, and their party, BJP, fail to call for communal peace and an end to the violence from all sides, even rhetorically? Both the flashpoints in Asansol and Raniganj — Chandmari and Hill Basti, respectively — were considered “sensitive areas” by BJP, VHP, and the Hindu Jagaran Manch, as well as the Trinamool Congress government, since these areas had experienced communal skirmishes even before the Ram Navami processions. Despite this, the Sangh Parivar insisted on taking the procession through the Muslim-dominated or mixed population pockets, and the civic administration allowed it. Soft-spoken but cautious, Shashi Bhusan Yadav, the VHP district secretary who came to a rendezvous with three journalists, including this correspondent, after being on the run following a police lookout for his role in instigating the violence, blamed the police and TMC for the violence. “We had coordinated with police for security bondobasts in the troubled zones the nights before in view of the earlier troubles and got the assurance of safe passage from the top cops this time,” he informed us. "Hindustan Me Rahna Hoga, Jai Sri Ram Bolna Parega"
"Ramlala hum ayenge, Mandir oohi Banayenge"
"Ailan Korte hai dank eke chot par, mandir banayenge har more par"
"Deshdrohi Musalman, ya to Jao Pakistan ya kabarsthan"
"Dhudh mangoge to khir denge, Kashmir mangoge to chirr denge"
However, both Yadav and Madan Trivedi, general secretary of the Raniganj unit of BJP, denied brandishing swords and other sharp weapons, or using bombs. In fact, they gave an altogether different story when asked about the provocative sloganeering. “We did raise slogans demanding a ‘stop [to] cow-slaughter’ and urging the Hindus to pledge to build a temple at the Ram Janambhoomi. But I have no knowledge of any abusive slogans being raised at Hill Basti.” However, he justified his opinion by demanding an end to “Hindu victimhood” in Bengal, making a point to note the difference between “good Muslims and bad Muslims,” according to him. “Modiji wants Muslims to hold Quran in one hand and a computer in the other. But if they support Pakistan and harbour jihadis, we are not going to tolerate it. This time, they had started the violence, so our boys may have retaliated. Hindus in Bengal have been reduced to the same status as the Pandits in Kashmir. How long we will suffer,” the RSS member turned BJP leader added. The middle-aged VHP leader also denied having any personal knowledge of inflammatory slogans having been raised. “We don’t play songs apart from those that are on the VHP’s official site. If some people raised slogans or played songs that hurt the other people’s faiths, we do not sanction it.” Maintaining that the police could have seized the DJ boxes in the rallies if they wanted to, he pointed out that the police, in fact, did not show them any official notification banning the use of weapons, DJ, boom boxes, etc, during its meetings with the organisers before the processions. The saffron camp admitted that their show of strength on Ram Navami was part of a political campaign to counter the TMC but blamed the ruling state government and Muslim supporters for the violence. “Ram Navami celebration used to be held in temples and mahallahs even before. We did not bring out big processions, nor did we display traditional weapons before 2011, when the Mamata Banerjee government came to power. We decided to oppose her decisions to appease Muslims, like the declaration of a public holiday on Milad-Un Nabi. Our processions gathered strength after the Modi government came to power at the Centre. As the joint processions of akharas have been coordinated mainly by the VHP, the spread of Hindutva messages has definitely helped the BJP,” Trivedi, a bookshop owner, said. “TMC is worried about our growing support base after seeing the high footfall in our rallies. They orchestrated the violence this year in order to ban the Ram Navami rallies in light of the upcoming Lok Sabha polls in 2019,” he said, pointing out the presence of some TMC leaders at the Sita Ram temple before the rally begun and their “sudden departure” after the violence began. The Sangh’s concerns became clear when Yadav called Mamata Banerjee’s move an attempt to “hoodwink Hindus after betraying them.” “She is trying to divide Hindu organisations. Apart from VHP, there is the Hindu Jagaran Manch, who also have contacts with the Sangh. Then there is the Hindu Sanghati, which is opposes the attacks on Hindus but supports the TMC,” he said, referring to a fanatic fringe group run by a former RSS Pracharak, Tapan Ghosh, an exponent of the Bengali brand of north Indian Hindutva. The epicenter of the latest incidents of communal eruptions in Asansol-Raniganj underline the Sangth’s strategy to instigate dalit and OBC Hindus, both Bengali and Hindi-speaking, into becoming foot soldiers of its anti-Muslim campaigns, which is now coterminous with anti-Mamata mobilisations. This has become evident from the recent riots in bordering areas like Basirhat and Nakasipara, and industrial areas like Dhulagarh and Hajinagar. Lower class and caste Hindus live side by side with Muslims of the same strata in Asansol’s Rail Par and Raniganj’s Rajbandh locality. Described as ”mini Pakistan” by middle class Hindus in general and Hindu organisations in particular, most Muslims primarily supported the TMC in the last polls, while also helping the Left parties retain some of the civic wards in these former strongholds of the Communist Party of India (Marxist). The dalits have gradually switched sides since the rise of the Sangh Parivar in Bengal. The dalit boys at Dompara in Hill Basti area in Raniganj, who reside in close proximity to poor Muslims, said that they were taught to raise anti-Muslim slogans by some Bajrang Dal and Hindu Jagaran Manch activists. “We have been participating in the Ram Navami rallies for the last three–four years. They say Hindu dharma and samaj are in danger, and we must join the fight to save it as we, too, are Hindus,” Krishna Badyakar said. Some of the Dompara boys have been at loggerheads with local TMC leaders like Intikhab Khan alias Billi since the 2014 polls because they had sided with the BJP, explained Jitu Badyokar, one of the Dompara boys. The Sangh Parivar’s focus on dalits and OBC Hindus has become more obvious as both Yadav and Aloke Singh, the district BJP vice-president, has mentioned that ”most of the Hindu victims in the latest riots belonged to scheduled castes.” “The SCs constitute around 35% of the constituency’s population and our support has been growing among them. We are working hard for Hindu unity,” added Yadav. “Our MP has been holding regular Sangsad Mela in those areas. He has been facilitating issuing of Aadhar cards, gas connections, Mudra Bank support for women, and distributing solar panels. Next time, we will win Asansol by a bigger margin. Hindus, low and high, know by now who are their real protectors in Bengal,” Singh added. It’s another matter that dalits elsewhere have become the biggest barrier in the BJP’s bid to win the next General elections. Biswajit Roy is a Calcutta-based retired journalist who had worked with The Telegraph, Times of India, The Statesman as well as Anandabazar Patrika. He served stints in the north-east and north India as well as in his home state, West Bengal.